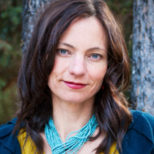 Science writer Niki Wilson lives in Jasper National Park, Alberta. Her writing about nature and the environment can be found at BBCEarth, Canadian Wildlife Magazine, Natural History Magazine, and Canadian Geographic. She is a faculty member of the Beakerhead Science Communications School.